In Chapter 7, Ashley realizes she and Forrest have crossed a line to the opposite side of the law. 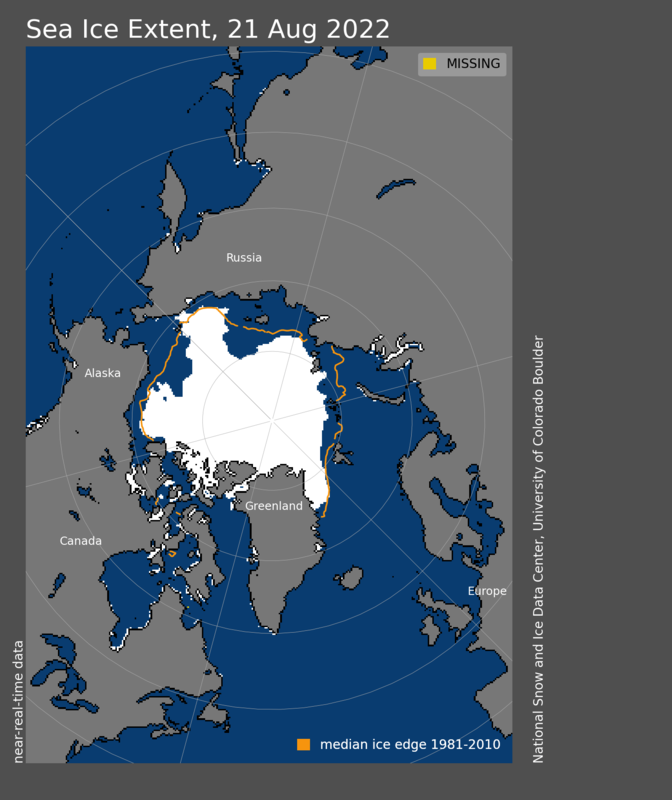 The Arctic isn’t changing, it’s inverting. From white to black, solid to liquid, present to absent. From heat reflector to heat collector. Opposite differs from different. Opposite actively negates. An opposing condition produces contrary effects. The Arctic is just a small part of the world, right? So you could argue that if the ice cap disappears the planet might be slightly different, but in the big scheme it should be more or less as it’s always been. It used to have an ice cap, and now it doesn’t. Not a big deal. That’s a bit like like saying, I used to have a functioning liver and now I don’t. No biggie. The ice cap is one of the ecosystem’s vital organs. Once its function inverts from heat reflector to heat collector, the ecosystem’s survival is in grave doubt. The problem with the Arctic’s flip from white to black is that humans are not biologically programmed to detect, register, or even imagine such a large-scale and remote event. Even as individuals, we don’t always register personal damage until it’s too late. Smokers don’t feel their hearts go bad until they go really, really bad, and quite suddenly. That explains the general lack of alarm at the impending disappearance of the ice cap. We don’t feel it coming on, and it’s too hard to visualize how sudden and catastrophic the inversion will be. That, and the sense that nothing can be done. But the disappearance of the ice cap will be as catastrophic as a heart attack. And something could be done to prevent it. We could mount a World-War-Two-style effort to get off fossil fuels. But to do something that radical requires broad agreement, and to get that agreement, people have to be sure the threat is real. The latest NSIDC data shows that we’re heading to a record summer ice loss, eclipsing even the loss in 2007 by a substantial margin. The schematic below shows a solid white area, but what it represents is the sea surface that contains as little as 15% ice cover. 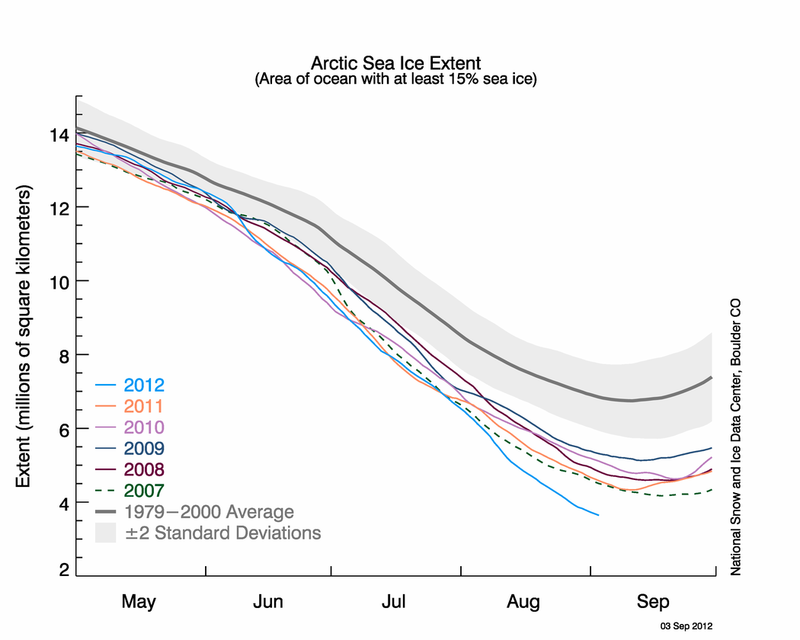 The possibility that the ice cap could be gone in just a few years looks pretty real to me.